This activity has been planned and implemented in accordance with the accreditation requirements and policies of the Accreditation Council for Continuing Medical Education (ACCME) through the joint providership of the University of Louisville and Global Academy for Medical Education, LLC. The University of Louisville is accredited by the ACCME to provide continuing medical education for physicians. The University of Louisville Office of Continuing Medical Education & Professional Development designates this enduring material for a maximum of 0.5 AMA PRA Category 1 Credits™. Physicians should claim only the credit commensurate with the extent of their participation in the activity. Continuing Nursing Education: Postgraduate Institute for Medicine is accredited with distinction as a provider of continuing nursing education by the American Nurses Credentialing Center’s Commission on Accreditation. This educational activity for 0.5 contact hour(s) is provided by the Postgraduate Institute for Medicine. Designated for 0.1 contact hours of pharmacotherapy credit for Advance Practice Registered Nurses. Atopic dermatitis (AD) is a chronic, relapsing inflammatory skin disease that is associated with significant morbidity and costs to patients and their families. Pruritus and other signs and symptoms associated with the disease can be severe and the impact on quality of life can be significant, particularly in those with moderate-to-severe disease. Diagnosing AD can be challenging because the type and appearance of skin lesions varies according to the degree of inflammation, stage of healing, frequency of scratching, and presence or absence of secondary infection. In 2014, the AAD published new evidence-based guidelines for the diagnosis and assessment of AD. 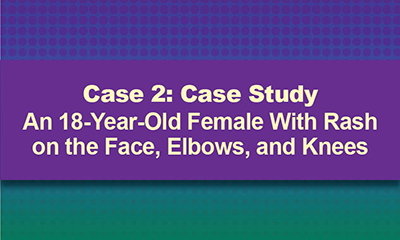 Clinicians would benefit from case-based education that translates expert insights into practical strategies for treating and managing the condition in a variety of patients, including children and adults. In recent years new topical and systemic drugs have been approved for the treatment of atopic dermatitis. 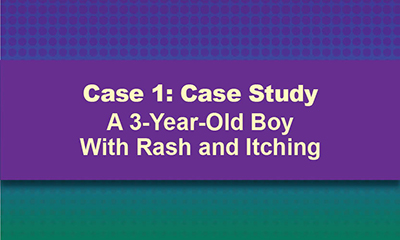 Clinicians are challenged to stay current on the safety and efficacy data of these agents and they need guidance on how to incorporate them into effective, lifelong strategies for managing atopic dermatitis and preventing recurrence. Lawrence F. Eichenfield, MD: Consultant (*past consultant): Novan, Inc.; *Steifel, a GSK Company; Valeant Pharmaceuticals. Investigator: Cassiopea; Galderma Laboratories, L.P.; Novan, Inc.; Steifel, a GSK Company; Valeant Pharmaceuticals. Jonathan I. Silverberg, MD, PhD, MPH: Consultant: AbbVie; Anacor Pharmaceuticals, Inc.; Galderma Laboratories; GlaxoSmithKline; Lilly, Medimmune-AstraZeneca; Pfizer Inc; Proctor & Gambel; Puricore; Regeneron-Sanofi. Advisory board member: Anacor Pharmaceuticals, Inc. Investigator: AbbVie; Celgene; Chugai; F. Hoffman-La Roche Ltd.; GlaxoSmithKline; Lilly; PuriCore; Regeneron-Sanofi; Speakers bureau: Regeneron-Sanofi. Fees for Non-CME Services: Regeneron-Sanofi. CME/CE Reviewers: Cindy England Owen, MD, Assistant Professor, Division of Dermatology, University of Louisville School of Medicine, has no relevant financial relationships to disclose. The PIM planners and managers, Trace Hutchison, PharmD; Samantha Mattiucci, PharmD, CHCP; Judi SmelkerMitchek, MBA, MSN, RN; and Jan Schultz, MSN, RN, CHCP, have nothing to disclose. Global Academy for Medical Education Staff: Sylvia H. Reitman, MBA, DipEd; Tristan Nelsen, Shirley Jones, MBA; and Ron Schaumburg, Eileen McCaffrey, MS have no relevant financial relationships to disclose. This CME/CE activity discusses the off-label use of certain approved medications as well as data from clinical trials on investigational agents. Any such material is identified within the presentations. The faculty acknowledge the editorial assistance of Global Academy for Medical Education in the development of this activity. The ideas and opinions expressed in it are those of the faculty and do not necessarily reflect the views of the supporter, Global Academy for Medical Education, the University of Louisville, or Postgraduate Institute for Medicine. Copyright © 2017 by Global Academy for Medical Education, LLC, Frontline Medical Communications Inc., and its Licensors. All rights reserved. No part of this activity may be reproduced or transmitted in any form, by any means, without prior written permission. Global Academy for Medical Education, LLC, Global Education Group, and Frontline Medical Communications will not assume responsibility for damages, loss, or claims of any kind arising from or related to the information contained in this activity, including any claims related to the products, drugs, or services mentioned herein.